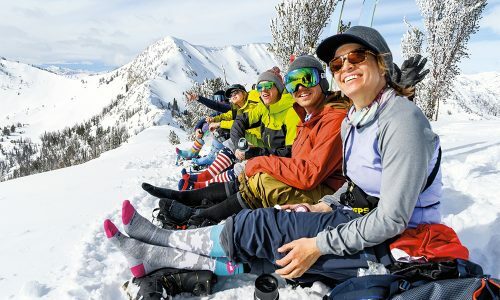 A dependable choice for hard-chargers and girls who like to go fast, the Kiku is a good fit for East Coasters who want a powder ski or Jackson Hole and Utah locals looking for an everyday shredder. Thanks to a wood core and strong carbon fiber construction, the Kiku has race-like agility. It’s incredibly stable at high speeds, and it’s as trusting as your best friend in variable terrain. Think of this rockered ski as more of a snowplow than a life vest. You’ll charge through crud and powder, not float on top of it. 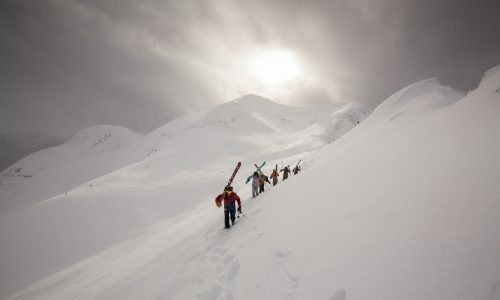 This ski truly crushes it all: Powder, hard-pack, crud, bumps, you name it. It’s made for powder, but it can carve a GS turn, too. 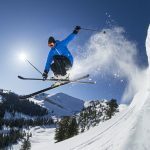 If you’re looking for more of an all-mountain ski, you might prefer Volkl’s slightly skinnier Aura, at 96 millimeters in the waist. The Kiku comes in four lengths, giving women of every size a decent option: 154, 162, 170, 178 cm.